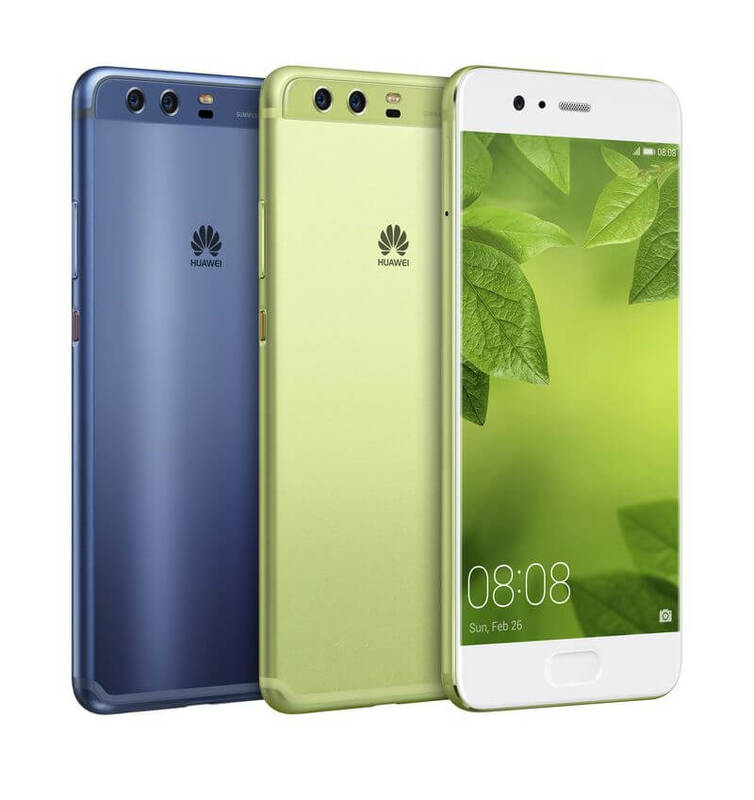 The Huawei P10 and P10 Plus aren't revolutionary upgrades to the company's successful mid-sized flagships, but they do pack better hardware across the board, alongside a tweaked design that has brought the fingerprint sensor from the back to the front. Inside both new handsets is the HiSilicon Kirin 960, and upgrade on the Kirin 955 seen in the P9. The Kirin 960 was first used in the Huawei Mate 9 (our review of that phone is coming soon), and it packs four powerful ARM Cortex-A73 CPU cores alongside four low-power Cortex-A53s, plus a Mali-G71MP8 GPU. Both the P10 and P10 plus include 4 GB of LPDDR4 RAM and 64 GB of storage as standard, although some models of the P10 Plus will feature 6 GB of RAM and/or 128 GB of storage. There's also microSD expansion, support for LTE Cat 12/11, and the usual array of connectivity including Wi-Fi ac, Bluetooth 4.2, NFC and USB Type-C. The P10 is the smaller of the two phones, with a 5.1-inch 1080p display and a 3,200 mAh battery. The P10 Plus beefs this up to a 5.5-inch 1440p display and a 3,750 mAh battery; both batteries are larger than in the P9 and P9 Plus. On the camera side, you're Huawei's dual-sensor solution: the 20 MP monochrome unit combines with the 12 MP RGB sensor for high-fidelity photos. The P10 uses an f/2.2 lens, while the P10 Plus packs a wider f/1.8. The front camera on both handsets is 8-megapixels. While the P10 and P10 Plus come with Android 7.1 on board, unfortunately neither support Google Daydream or come with Google Assistant. Instead you'll be getting Huawei's EMUI 5.1 skin. Huawei will begin shipping the P10 and P10 Plus across a range of European and Asian countries in March, though there's no word on a North American release. The P10 is priced at €649 ($570 before tax), while the P10 Plus will cost €699 ($615).